Wow, it is the best cover to ever own!!!!! I’ve been using the spa every evening since it arrived . Your customer service is outstanding too… talking to you all put all my questions at ease for this purchase sight unseen in person. I maybe be rambling but I’m so thrilled even down to the nice garage storage shelf I made out of you shipping crate. Feel free to share my number if someone is hesitant to buy without seeing the cover. Speaking to a very happy customer. Excellent cover that is easy to roll, looks great and is exceptionally well made. I am impressed with the workmanship and quality of the new cover. It fits perfectly and is much easier to uncover and recover our pool. You don’t have unsightly stiff covers sticking straight up at each end and there is no gap in the middle that allows trash into your pool. You have one well made cover that can easily be rolled and unrolled by one person. This should be a stock item for all swim spas. Everything was just as you described. Delivery was very smooth. The crate was easy enough to disassemble. My son and I easily carried the cover to the spa and installation was very simple. The cover is wonderful and has definitely helped in maintaining temperature and chem balance. It is very easy for me to open and close by myself. I have opened it from both in and outside the spa. I want to thank all of you for your awesome product and your exemplary customer service. I’m amazed at how great this experience has been! I received my spa cover today and I am happy to have it. It is relaxing on my swim spa. We absolutely love this cover!! I am so glad I found this!! Made wonderfully-Great Customer Service-The Product and ease of use is OUTSTANDING!! I’ve gotten sooo many compliments on it! Thank you End2End!!! We are so impressed with how nice this cover is built! It looks awesome!! Easy install and we are beyond happy we chose this product!!! We are thoroughly enjoying our E2E Cover. The installation was relatively easy. It maintains the heat better than the manufacturer supplied cover and it is much easier to deploy and roll to retract. I just wanted to give you a heads up we are currently doing another Home Show this weekend and have your covers up there again. Wow people really do love your covers, I am equally impressed now that I have seen them in person! We are so pleased with the spa cover and the customer service was above and beyond. Thank you so much! Our cover has been working great all winter long in northern Michigan. It’s been a joy to swim while the rest of the world is covered in ice and snow. Our home is near net zero and we’ve been able to heat our pool and spa efficiently. Awesome product and has made a huge difference in the look, temperature and usefulness of our swim spa…Thank you. Wish I had this cover a year ago when we purchased our swim spa. My wife can finally open the spa with ease what a joy! The quality of the outside cover appears to be much greater than that crappy heavy vinyl cover. Also thanks for supporting us Veterans! My wife began shopping for cover solutions. She came across End 2 End amongst her choices. After reading the reviews and looking at the overall design we decided to go with the End 2 End. And we are so glad we did!!! Others have written about the great customer service and assistance and I would only echo those comments as our experience was as good or better. My wife can now swim anytime she wishes as the cover easily rolls back for her. I am thrilled by the great seal the cover provides keeping out ALL needles and tree debris! My filter is so much cleaner and nothing is being sucked into the pumps anymore. This cover has made the experience of owning a swim spa great! If you have or are contemplating a swim spa, this is the best cover you can have. Thank you End 2 End! The entire experience has been terrific and we now thoroughly enjoy having and using our swim spa!!! I am very happy with my cover plus the crate will be used to store my yard tools, what a plus. Have a fantastic day to you David and your team. Again thank you so much. We purchased the cover in Aug of 2015 – so almost 2 years now. Let me say that we love this cover. It is so much easier to use than the original covers that came with the Swim Spa. I am so glad we found you. I would like you to know, that I love my cover!!! First Thank you so much for being on top of every movement in the procedure of having it shipped to our house. Second, that the product is everything that you guys told me it would be. It was very nice doing business with your company and I will certainly recommend your company with our friends. The cover arrived on Friday, with no problems. It fits PERFECTLY!! Quality & construction is great. My wife says she can open and close it by herself with ease. We recently purchased a End 2 End swim spa cover. We looked at various options but kept coming back to the End 2 End cover. Installation of the cover was easy. The cover is awesome. My spa has never had so much use. It used to be a chore to get the old waterlogged foam covers off. Now its a 1 person operation, making having a spa a fun activity again. You may be this best company I have ever have ordered from. Sales, order entry, production, shipping, billing, you name it. Great follow up and quality product. It has been a pleasure! This cover is wonderful. We enjoy our swim spa even more now that we purchased an E2E cover. Your service is above and beyond our expectations. Thank you very much. We are certainly enjoying our swim spa and especially the swim spa cover. It is so easy to roll it up when swimming and then roll it back down when not in use! We are in 7th Heaven! Thank you, thank you, thank you! The cover arrived as promised and was an easy installation thanks to the clear instructions. I am eager to get out and start using it! Thanks for a great purchasing experience. Best purchase ever. This cover makes it way more likely that I will use this swim spa all winter! There is no comparison to the cover that came with the spa. Totally awesome cover. I’ve been using it for about a week and it keeps the heat in as well or better than the old cover. But the best, the very best, thing about the cover is how easy it is to use. I use to struggle taking the old one off, and then especially putting the old cover back on. Not any more. Thank you E2E !!! Fantastic customer service!!! Cover is beautiful! I just LOVE this cover! The old nasty hot tub covers were heavy and an eyesore. This New E2E cover makes my life so much easier! I am able to get in and roll it up with no help! It is very attractive and makes my back area so top notch! High Quality and strong! Thank you for offering such a superb product! Thank you for making this a great experience. I was a little doubtful of buying an item like this over the internet without actually seeing it. It is everything that End 2 End says. A great cover and easy to install. Love the cover so far! Easy to open and close. Perfect brown color for swim spa. I recently purchased a cover from you, referencing Quote #14264. I received it Thursday 8/11 with the crate in good condition. I did not get to install it until 8/13. My wife loves the cover unit, so that is the “Seal Of Approval”. I filed the warranty online so you can see the pictures there. I want to thank you for making a good quality product (actually made in the USA). And the staff I talked to during the purchasing and shipping were very nice. Again, my wife is thoroughly pleased with the spa cover. She can easily roll the unit back by herself. As for myself, I love the quality/craftsmanship. The entire unit fits correctly and will be a benefit in keeping the mountain dust and pollen out of the spa water and I love the dome design which will be a benefit this winter when the snow arrives. Thanks again. If I encounter other people needing a cover, I will definitely direct them to your company. I recently purchased an end2end cover for my 19 foot PDC Swim Spa model FX-219 through my spa dealer. I am very happy with the End 2 End Cover. It is so much easier than the bulky regular cover. It fits perfect and everything went as promised with the shipping and delivery. Cover was packed and wrapped perfectly. I am very pleased with the ease of use and now I can enjoy my swim spa when I want to use it without any body else around to help open the cover. We are enjoying the end to end spa cover. It is a great product. We are very pleased. Our cover arrived right on time. Rod and I could not be more pleased with the outcome and the final product. We are thrilled with the fit and look of the cover and it really compliments our outdoor space; a huge improvement over the ugly brown standard cover. Thank you for your exceptional service and superior product. We look forward to enjoying our E2E Swim Spa cover for years to come. Excellent. I can’t believe I fought with 2 sets of the old traditional covers for 8 years. And the E2E does well in wind, and snow on top didn’t melt showing great insulation. This is an absolutely superb product. Very happy with the decision. It looks great and will likely be the last one we will buy. The “flapper cover” folks don’t really make things to take sunlight and their products are nowhere near as easy to use and visibly pleasing as the cover I got. Our sales person was great he talked me through everything and searched hard to get the dimensions right – it fits perfectly. Again, a great experience. I would recommend the company to anyone. Excellent packing and delivery. Cover went on as per directions and fit is excellent. Overall I would say you all did a great job and delivered exactly what you promised. Not sure I could ask for more. I can’t say enough good things about my new cover!! It was the perfect answer! I go in my swim spa twice as much now! Love this E2E Cover. My two-piece cover always was a challenge to keep heat in and dirt out. Problem now solved. Many thanks. I am very very pleased with all aspects of this cover, from order, to shipment, and installation. So much easier to remove and replace than original cover. Thank you for such a high quality product and outstanding customer service. Wow! What an beautifully engineered cover. Easy to use and totally efficient! The cover is fantastic! Thank you so much for being there as a manufacturer and marketer. Cover received and installed yesterday. No problems at all. Thanks for the detailed instructions. The cover is pretty easy to roll on and off. Very satisfied so far. The cover arrived in perfect condition and was very easy to install using your instructions. We are very happy with how it fits our pool and how easy it is to use. We will certainly use our pool much more often because now one person can get the cover on and off easily. Thank you! 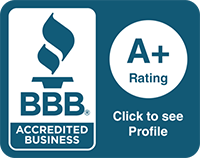 The people at E2E were very knowledgeable and efficient at every step of the way. Thank you all. We love the new cover, makes the whole experience that much better now that it opens and closes much easier than with the old folders. Thank you all. We got our Masterspa H2X Swimspa in 2007. Since retiring in 2010 I use it everyday. It was getting harder & harder for my husband to open the old style cover with lift bars. Installed your cover on the 21st in time for my birthday last Friday. Wow… 6 days in & what a difference! We already love it. We love it!!! So easy to roll!! We got the cover and have installed it. WE LOVE IT! Thank you for convincing me to buy your cover. In short, my wife and I love it. You made me feel comfortable with your meticulous handling of every question I had…and functionally, you solved the problem that so many have with traditional covers. I am sure that my experience over time will be as good as it was to receive and start using the product. The cover looks great! Real high quality and strong. Your ordering process is excellent. The cover was shipped on time. The shipping carrier was on time and helpful. The quality of the cover is excellent. The heater does not keep running to keep the temperature at the set point–in fact we had to decrease the set temp point when we use it for exercising. And your sending me a confirmation that my warranty was received is yet another example of your quality processes. Just wanted to tell you how much we enjoy our End 2 End Pool Cover. We are over 70 years old and my wife and I both use the partially rolled up cover to aid in our getting into our Master Spa H2X Trainer 14. It is so easy to roll up from inside the pool. We live in Maryland and are having an extremely cold winter. We are holding at an 88 pool temp and the interior heat from the pool does not migrate to the outside of the pool cover. I want to thank you for explaining the benefits of your product and ultimately encouraging me to purchase and recommend it to our pool supplier. Dale Norfolk, Maryland. USA…February 19, 2015. I just wanted to drop you a note to tell you how much I LOVE your cover! So easy to remove and put back on, looks professional, extremely well made! Thank you for your help! 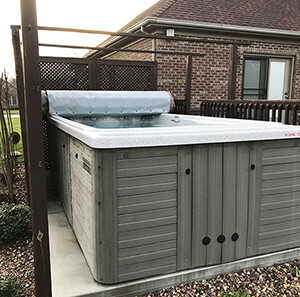 The cover was easy to install, robust and pleasant looking, and extremely easy to use as well as being space saving as it rolls back easily sitting on the end of the pool. Its insulating properties are superb, so we need to use minimum power to keep the heat stable. It has been a pleasure to deal with your company. It is a great product and perfect for our outdoor pool in the Pacific Northwest!! Thank you so very much…I really love your product and will be very happy to recommend you to anyone I might be able to. Happy New Year and thanks again. Thank you! It’s just what we needed to make winter swimming possible. I wanted to let you know that the swim spa cover is awesome! We love how easy it is to roll back and it just tucks away unlike those big cumbersome monstrous pads we had! I just wanted to let you know that the E2E Cover arrived and we installed it. Everyone is very happy with it. Many Thanks! I love the E2E Cover! So easy to roll by myself and looks great too! Having had the E2E Cover for nearly a week I can honestly say I am thrilled with it. I can put it on and off on my own without having to bother Kevin and I can be spontaneous about when I want to have a dip. I delivered and installed the first E2E swim spa cover today and to sum it up in one word “awesome”. The E2E Cover is better than I could have imagined and the customer was very pleased, especially after having struggled with the standard covers. I received our swim spa cover…It looks great and it rolls on and off as easy as you said it would. Cover looks good and Vanesa is able to operate by herself. Thank you! It is very easy to unroll. It is definitely superior to the original cover and we are glad that we bought it. It was simple to install. I was surprised how easy it was to roll the cover open and closed all by myself. The cover fits great and it is way easier for me to use than the big, heavy foam tops, so I am very glad I got it. Thank you. Thanks we really like our new cover! The old one was difficult to slide on and off but this one rolls easily. Excellent product. Very happy with the new cover…We have been using or end 2 end cover for 6 months and love it. We have recommended it to our pool MFR and Installer. We love our new cover… It’s just what we were looking for. It makes it so much easier to use. Thank you so much for your invention!